The BLS "Vallum Hadriani Tracker" tour train has just passed Norton East Junction having come round the curve from Norton South Junction, the lines straight ahead leading to Norton West Junction and forming the triangle. These lines see very little use these days and Norton East signal box is now disused though is a listed building. 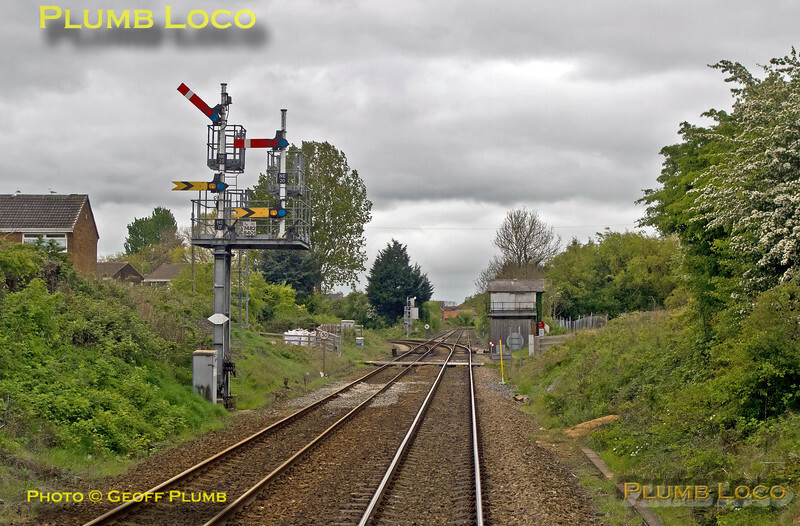 Presumably, its home signals are normally in the "off" position (as in this photo) to and from Norton South Junction, quite what happens if there is any traffic to and from Norton West Junction? View from the rear cab of 185 108 at 11:36¼ on Sunday 7th May 2017. Digital Image No. IGMP26643.